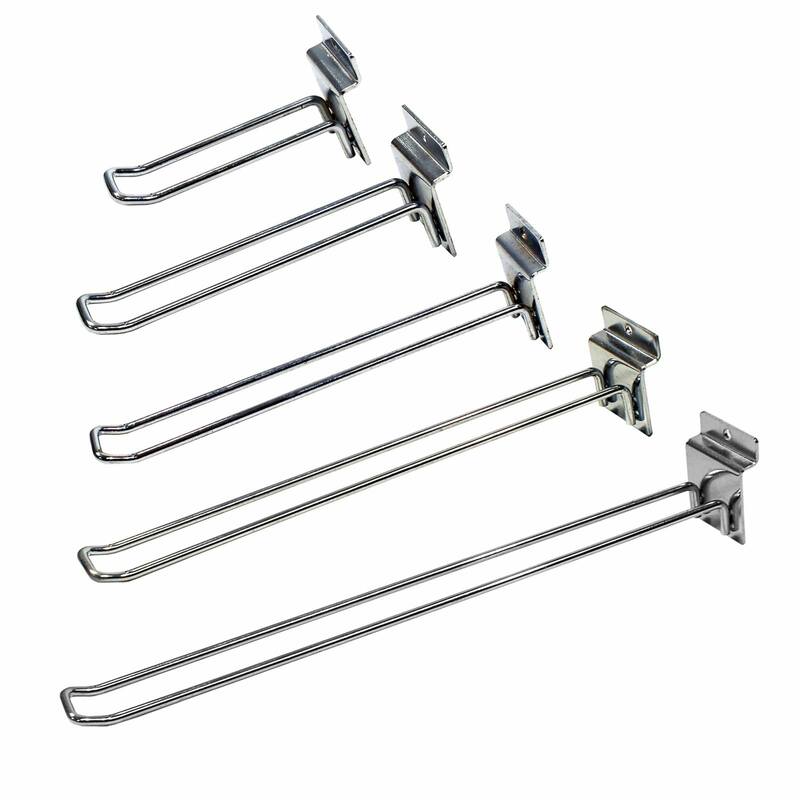 High quality and heavy duty chrome plated euro hooks for slatwall. 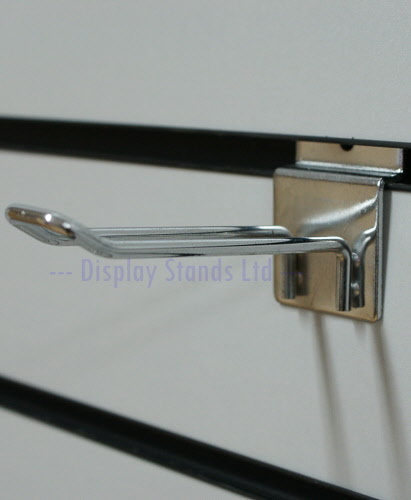 These hooks are manufactured from 5mm diameter wire with a sturdy back plate fixing. 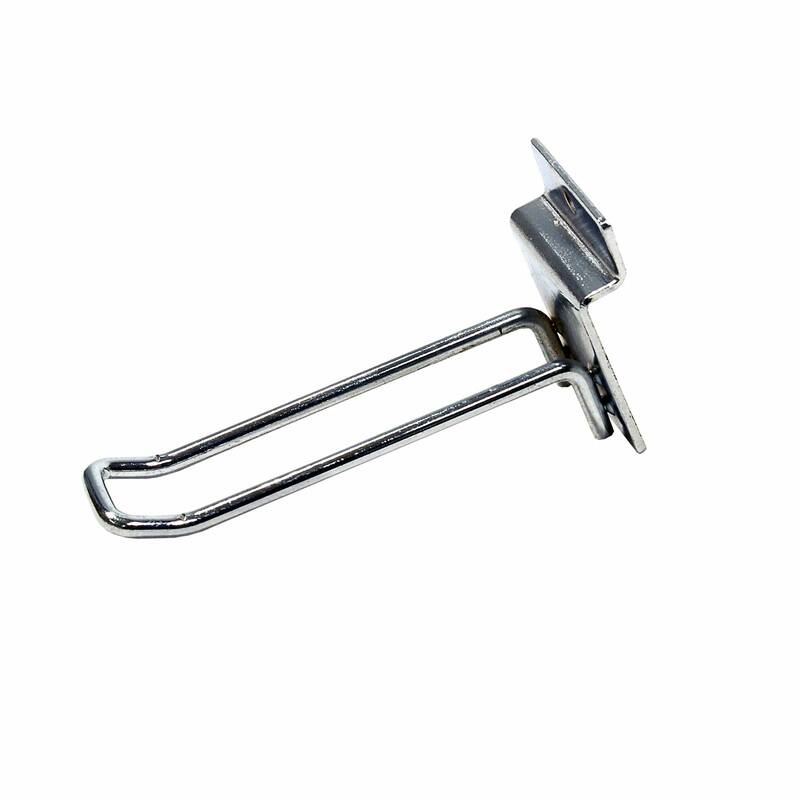 The front of the hook has a square end.